Books by Donald Hamilton: A Cover Gallery, a self- described work in progress, is a collection of classic Hamilton covers. 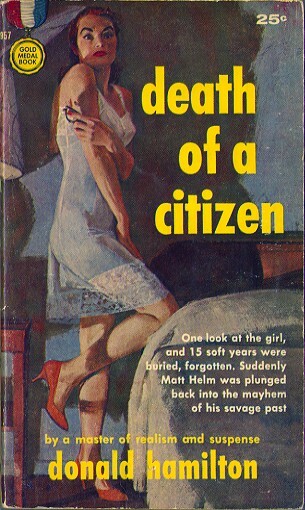 My fave is the cover for the Gold Medal paperback original of Death of a Citizen. What a cover!